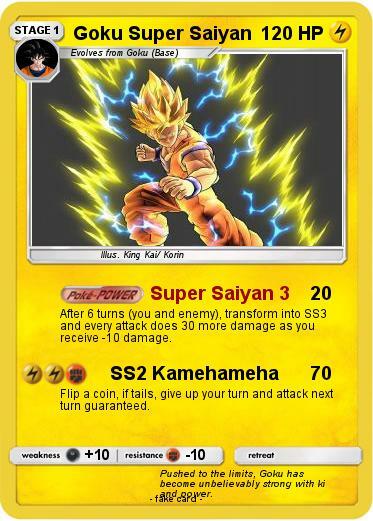 After 6 turns (you and enemy), transform into SS3 and every attack does 30 more damage as you receive -10 damage. Flip a coin, if tails, give up your turn and attack next turn guaranteed. Comments : Pushed to the limits, Goku has become unbelievably strong with ki and power.